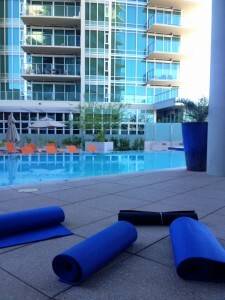 “Pilates on the Pool Deck” only at West 6th Tempe! 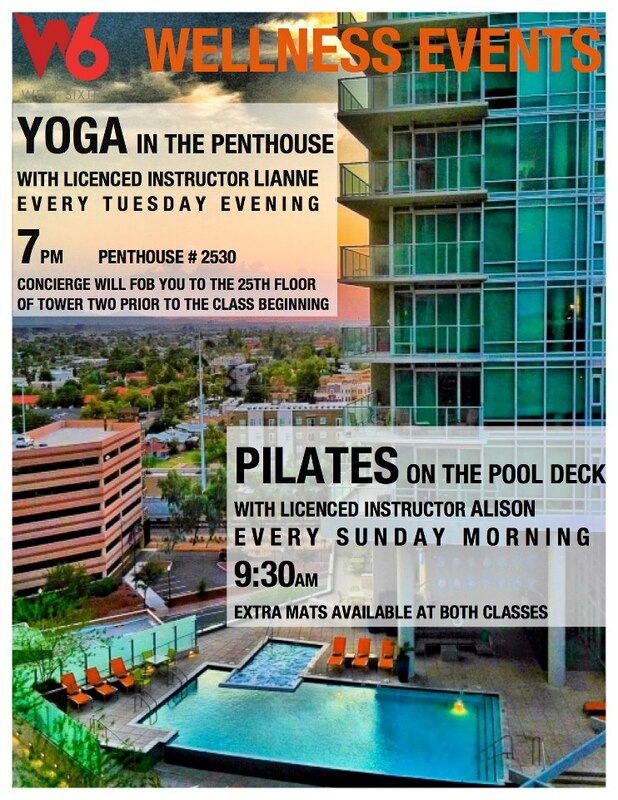 Yoga in the Penthouse wasn’t enough, so the teams from West 6th Tempe and Epic Fitness bring you Pilates on the Pool Deck with instructor Alison Trumbull every Sunday morning from 9:30 am – 10:30 am! Enjoy the perfect weather, the gorgeous scenery of North Tempe from the 7th floor pool deck, and get a great workout all in a one hour pilates session. This is a beginner to intermediate class, but all experience levels are welcome! No pre-registration necessary, just bring a mat if you have one and meet us on the 7th floor by the pool every Sunday at 9:30 am.